Pending final pricing, the best CX-5 value may be an all-wheel drive Sport with the Bluetooth package. It foregoes the luxury options, but all-wheel drive includes alloy wheels, and the simpler sound system lets the driver focus on the most fun feature: its handling. The 2013 Mazda CX-5 is an attractive and modern crossover with great handling and surprising space, but sluggish acceleration. 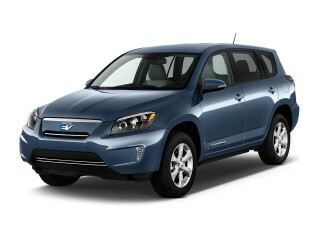 The 2013 Mazda CX-5 is the company’s first all-new crossover utility vehicle in several years. 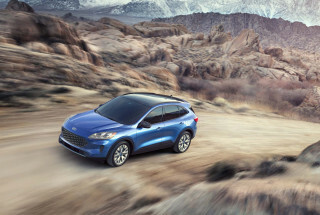 It replaces the discontinued and low-volume Mazda Tribute (a lightly modified old-style Ford Escape) and the CX-7, which is slightly larger but has no more interior room and considerably worse gas mileage. Aimed right at the heart of the compact utility market, the new CX-5 offers an attractive alternative to the perennial best-sellers—the new 2013 Ford Escape, the redesigned 2012 Honda CR-V, and the Toyota RAV4 and Chevrolet Equinox, which have been with us now for a few years. In its favor, the CX-5 is stylish, capacious, handles beautifully, and should return some of the highest gas mileage figures in the category. Its notable drawback is that the fuel economy comes at the expense of power—in some circumstances, there’s just not quite enough oomph there to be competitive. The CX-5's lines are typically Mazda, with expressive design, large wheel arches, and a rising window line. 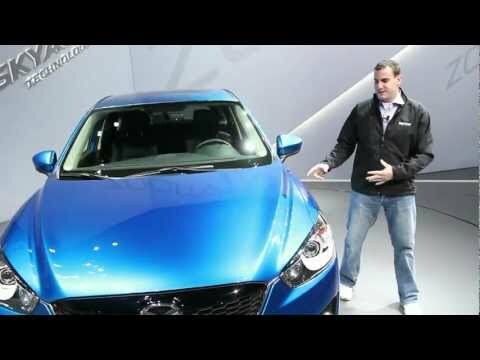 Up front, however, Mazda has thankfully ditched the grinning "smile" look for a handsome trapezoidal grille shape. Inside, the look is businesslike, with restrained silver trim and sporty red piping on the high-level leather seats.The car is sensitive to colors, though, with lighter shades accenting the height of its doors and darker tones making it lower and sportier. The 2013 Mazda CX-5 comes with only a single engine, a new 155-hp 2.0-liter four offered with either a six-speed manual gearbox (in front-wheel drive only) or a six-speed automatic (which can be ordered with all-wheel drive as well). The entire powertrain is tuned for maximum efficiency, as is the vehicle design, the first Mazda to be completely designed under the company's SkyActiv philosophy of maximum efficiency from every component and feature. The fuel efficiency is remarkable for a vehicle this size--EPA combined ratings are 28 mpg with all-wheel drive, 29 mpg for front drive--and we saw 27.4 mpg on a 350-mile road test of about two-thirds highway mileage. But the transmission is strongly biased toward low engine speeds, and to get performance out of it, drivers must accelerate hard and the transmission usually has to be downshifted not once but twice. That said, we found the CX-5 to be simply the best handling crossover we've driven. Mazda demonstrated its pride in the roadholding by inviting journalists to take the CX-5 around the notorious Laguna Seca racetrack, where it acquitted itself admirably. 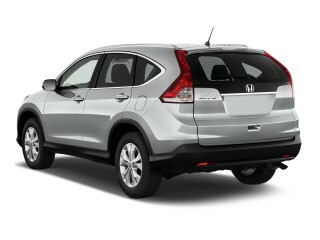 If you've come out of a sports sedan or a hot hatch and are moving up to a compact crossover, this is the one for you. Inside, the seats are comfortable and well-bolstered up front, and there's plenty of room in the back seat for even 6-foot adults. The load floor is long and flat, with a clever folding arrangement for the 40/20/40 split rear seat. And the CX-5 is quiet under most circumstances--though hard acceleration and engine revving bring out more engine noise than we'd expected. The CX-5 comes in three trim levels: Sport, Touring, and Grand Touring. The base Sport starts at $20,695 (plus a mandatory $795 delivery fee), and the highest level Grand Touring with navigation and other options runs just above $30,000--a good price against some other competitors. The 2013 Mazda CX-5 is one of the most attractive crossovers around, though its interior is business-like rather than luxurious. The 2013 Mazda CX-5 is the company’s first new design executed under its ‘Kodo: Soul of Motion’ design philosophy, and it sets a promising direction for future products. Less overwrought than previous smile-faced Mazdas, the CX-5 has a strong but not aggressive front end with a long hood and windshield pillars set further back than other crossovers—giving it more of a sports-car profile. The upright five-point Mazda grille and swept-back headlights are distinctive, and the side profile stands out as well. Parked nose in, though, and despite its raked tailgate and deep trailing roof spoiler, the CX-5 vanishes in a row of similarly proportioned crossovers. Inside, the new Mazda has a calm, business-like interior that’s functional and attractive—and, again, not nearly as overdesigned as some competitors’ dashboards. The dash and center stack are black, surfaced in soft-touch plastics, with either black or “sand” beige upholstery (in cloth or leather), the latter providing a nice two-tone interior. Instrument faces are some of the simplest we’ve seen, with black needles, black backgrounds, and white numbers. They’re just this side of severe, but work well—our only complaint being that a 160-mph speedometer in a family vehicle makes little sense and crams the section you need to watch into less than half the needle sweep. Mazda’s color palette remains stunningly basic: two reds, two blues, two whites, silver, gray, and black. They all work fine, but with other crossovers using more adventurous hues—Root Beer, anyone?—we wonder whether the CX-5 won’t seem overly plain in comparison. The 2013 Mazda CX-5 handles superbly and is a blast to drive, but it's let down by a lack of power in situations where drivers need it most. There’s no getting past it: The 2013 Mazda CX-5 may be the best drive of any compact crossover. Mazda engineers spent a great deal of time working on linear control feel, and it shows. The CX-5 is sure-footed enough that drivers can end up traveling 15 mph faster than they realize. It corners flat and its acceleration, braking, and handling all feel thoroughly integrated and reassuringly predictable—so much so that it’s hard to find anything to say except that they’re just right. 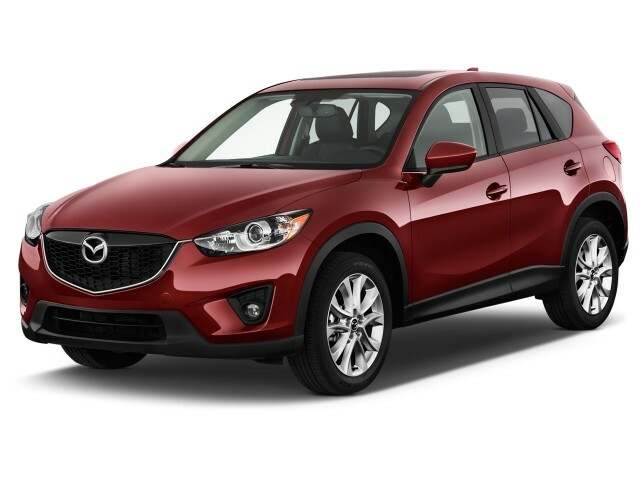 As the sportiest compact crossover on the market, the 2013 Mazda CX-5 handles well but rides firmly. The ride quality can get busy and nervous on a few road surfaces, and firm to choppy over freeway expansion joints, but those conditions only occur on a small number of roads, and overall the Mazda crossover feels solid and reassuring. The CX-5 is fitted with a 155-horsepower 2.0-liter engine that produces 150 lb-ft of torque and features a 13:1 combustion ratio, the highest of any gasoline engine on sale in the U.S. The engine is paired with either a six-speed manual or six-speed automatic, with all-wheel drive offered in every trim level. The company says it expects about 10 percent of CX-5 buyers to opt for the manual. The major drawback to the CX-5 is that it feels underpowered in situations where more power means safer driving. Uphill freeway on-ramps, for instance, require thought and pre-planning, and it’s still a game to wring enough power out of the engine to keep up with traffic. Mazda quotes 0-to-60-mph acceleration times of 8.8 seconds (for the six-speed manual) to 9.3 seconds (for the all-wheel-drive model). Mazda has tuned its automatic to match revs carefully on shifts, so while it sounds almost like the engine noise slurs temporarily during shifts, there’s no jolt whatsoever when the power re-engages. The manual mode on the automatic holds the designated gear indefinitely, unlike most other cars, which revert to automatic after a set period of time. Novice drivers will have to get accustomed to pushing the lever forward to downshift, back to upshift—the reverse of the usual setup, but one which Mazda feels very strongly is “the right way” to set it up. Despite a fairly flat torque curve, the engine is most powerful above 3000 rpm, so making it sing is the best way to accelerate swiftly. 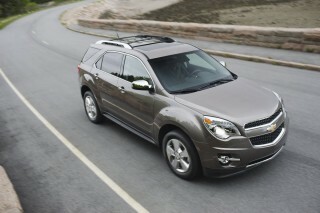 Whether that’s how crossover buyers want to drive is another question. 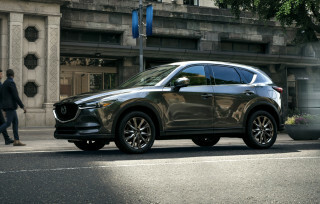 The new CX-5 is the first complete Mazda to incorporate “SkyActiv” technologies, in which every component of the vehicle is designed to be as lightweight and high efficiency as possible. This sounds like simple stuff, but Mazda expects to get some of the highest fuel-economy ratings in the class without resorting to turbocharging, hybrids, or any of the other pricey ways carmakers can boost mileage. Instead, the engine has a large and complex 4-into-2-into-1 exhaust manifold that improves combustion efficiency but requires the engine compartment to be designed around it, and every component is lightened. The CX-5’s curb weight varies from 3210 to 3430 pounds, lighter than most competitors, and it quotes a drag coefficient of 0.33, low for a crossover. The 2013 Mazda CX-5 has more space inside than you might imagine, for people and stuff, and the driving position is almost perfect. Mazda has put a lot of effort into making the CX-5 a usable SUV, enlarging door openings for easy entrance and exit to both the front and rear seats. 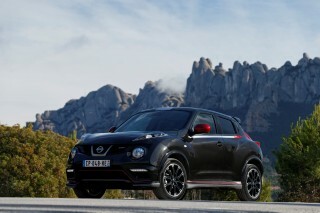 The seating height is halfway between that of a car and a sport-utility, high enough for good visibility and confidence but low enough so occupants don’t have to step up but can simply swing themselves in through the opening. The seats themselves are comfortable both front and rear, with good bolstering in front to hold occupants in place. Hollowed-out seat backs in the front give enough rear-seat legroom for four six-foot adults to sit comfortably without contortions. Mazda says rear-seat legroom is the best in the class, though we’d wait for final 2013 Escape figures before cracking the champagne. For the driver, the manual shift lever is in the right place and offers Miata-style short throws, while a bottom-hinged accelerator pedal reduces foot fatigue on longer trips. A cell phone fits into the arm-rest recess, which has a rubber mat at the bottom, and there’s a console bin, a sunglasses holder, and another flat tray at the front of the console. The interiors include a handsome soft-touch dashboard top surface, and our test vehicles appeared well assembled. The CX-5 offers a long load bay with a low lift-over height and no protruding shapes; again, Mazda says its volume is best in class. Single-pull releases for the 40-20-40 split rear seat-back cushions are standard in the cargo area, though the system (which moves the rear seat cushion forward and down) requires the rear headrests to be removed first. On the other hand, Mazda provides two dished trays outboard of the load area into which those headrests fit neatly—a very nice touch we wish every maker would copy. One passenger-friendly feature that Mazda has carried over from its larger seven-seat CX-9 crossover is door bottoms that extend down around around to cover the door sill. This keeps dirt, slush, and water off the sill, which in turn keeps it off passengers’ clothing as they climb in and out. Noise is well suppressed until the engine has to rev—which it will do often to move the car along expeditiously—and at higher speeds, it’s quiet enough inside that wind noise from mirrors is apparent. It’s particularly silent at idle, when a glance at the tachometer may be needed to see if the engine is running. The 2013 Mazda CX-5 gets top IIHS ratings for crash safety, but its six airbags seem minimal and its rear-quarter vision is dreadful. Unlike other makers who now fit up to 10 airbags, the 2013 Mazda CX-5 has six: two for the front passengers, two side bags, and two window curtains. The Insurance Institute for Highway Safety (IIHS) gives the CX-5 its highest ratings of "Good" for frontal offset and side impact crash tests, for roof strength, and for rear crash protection. The IIHS also designated the CX-5 a "Top Safety Pick." The National Highway Traffic Safety Administration (NHTSA) gave the CX-5 four out of five stars on frontal rollover ratings, and a five-star rating for side-impacts, averaging for a four out of five star overall rating. The 2013 CX-5 has the usual complement of electronic aids, including stability and traction control, anti-lock brakes, and other safety control systems. And its handling is so predictable that we expect more drivers than usual simply to drive around or away from potential dangers. Mazda is also particularly proud of the stiffness of the entire body shell, despite its light weight. Visibility to the front and sides is very good, with clearly defined corners visible from the driver’s seat, a low hoodline revealing a lot of the road ahead, a low beltline, and large door mirrors mounted low and far enough back that there’s a gap between them and the windshield pillar—improving the driver’s ability to see pedestrians and road shoulders to the side. Rear quarter vision is as bad as the front visibility is good, though. Over their shoulders, drivers will see only gigantic blind spots on the corners, with the small triangular windows offering little help. A rearview camera for reversing is offered on the higher trim levels, but this is a car in which we think it’s an absolute necessity. The 2013 Mazda CX-5 focuses its features on the passengers and leaves the driver to drive, and the decently equipped low-end Sport model is a plus. The 2013 Mazda CX-5 comes in three trim levels: the base Sport, the mid-level Touring (which is expected to make up the bulk of sales), and the luxurious Grand Touring. To Mazda’s credit, it offers all-wheel drive on all three models. The Sport includes a tilting and telescoping steering wheel with audio controls, remote keyless entry, a Start button, power windows and doors, and 17-inch alloy wheels (on the automatic model). An optional Bluetooth package for the Sport only adds Bluetooth pairing, an in-dash color monitor, HD radio, and Bluetooth controls on the steering wheel. The Touring adds a six-way power driver’s seat, blind-spot monitoring, a 5.8-inch in-dash touch screen with a reversing camera, HD radio, Bluetooth phone and audio pairing, and a leather-wrapped steering wheel and shift knob. On the Touring, a Moonroof/Bose package combines a nine-speaker Bose audio system with a power moonroof. At the top of the lineup, the Grand Touring offers larger 19-inch alloy wheels, dual-zone automatic climate control, leather upholstery, an eight-way power driver’s seat with lumbar support, heated front seats, the nine-speaker Bose audio system and power moonroof as standard, rain-sensing wipers, and auto-on/off headlights..
Options include a Tomtom navigation system as part of a Technology package on the Touring and Grand Touring models that also adds keyless entry, auto-leveling HID headlamps, an auto-dimming rear-view mirror, a burglar alarm and, on the Touring only, rain-sensing wipers. The 2013 Mazda CX-5's EPA ratings of 28 mpg with all-wheel drive and 29 mpg for FWD are very good for a non-hybrid crossover. The EPA rates the front-wheel drive versions of the 2013 CX-5 at a combined 29 mpg, which is remarkably good for this class of compact crossover. 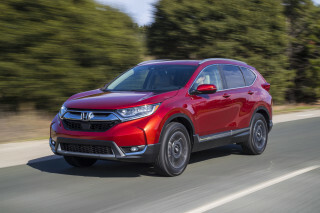 If you order it with the six-speed manual, you'll get a slightly higher highway rating (35 mpg vs 32 mpg) than with the six-speed automatic, but both versions get the same 26-mpg city rating. 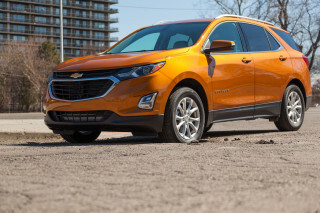 Adding all-wheel drive (available only with the automatic) imposes a slight penalty: It's rated at 25 mpg city, 31 mpg highway, for a combined rating of 28 mpg--perhaps even better comparatively for compact crossovers with all-wheel drive. 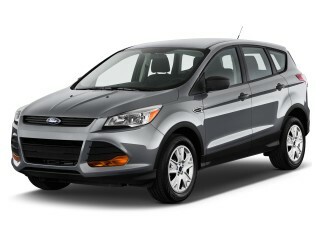 Our test drive covered 140 miles in total, split between freeway travel and winding two-lane hilly roads. Our automatic CX-5 returned 24.6 for the first leg, up into the mountains around Los Angeles, and a more rewarding 30.3 mpg descending back into the L.A. basin. Mazda also plans to introduce a 2.2-liter diesel engine for 2014, and while the company was coy about which vehicle it would power, odds are it’s the CX-5. It will be the first diesel-powered Mazda in three decades (the company sold a handful of diesel pickups in the early Eighties), and it should return fuel economy figures considerably higher than the gasoline model. Worth the money - great commuter car! Mazda CX-5 is worth it. Looking for a different year of the Mazda CX-5?